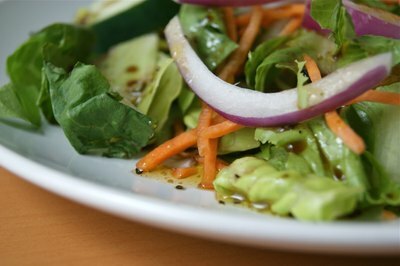 Pomegranate balsamic vinegar makes a great salad dressing, but it can be used in just about any way you like. What was once an exotic cooking ingredient can now be made easily at home. Real pomegranate juice is used to make the vinegar and it can be found at well-stocked supermarkets and local health food stores. This recipe yields approximately ¾ cup of pomegranate balsamic vinegar. 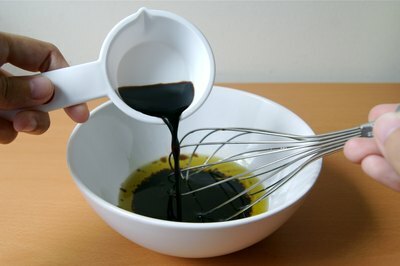 Combine ¼ cup of extra virgin olive oil with ¼ cup of balsamic vinegar in a medium sized mixing bowl. Whisk until the two ingredients are thoroughly combined. Add ¼ cup of pomegranate juice to the mixing bowl, and whisk until it is thoroughly combined. Use real pomegranate juice with no sugar added, not a juice cocktail. Add ½ tsp. of kosher salt, 1/8 tsp. 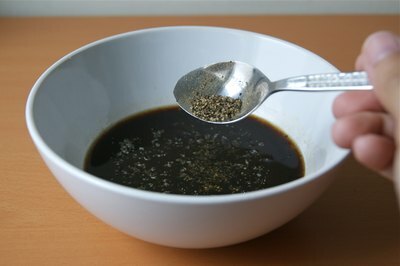 of ground black pepper, ¼ tsp. of garlic powder and 1/8 tsp. of mustard powder, if desired. Whisk again until it is combined. 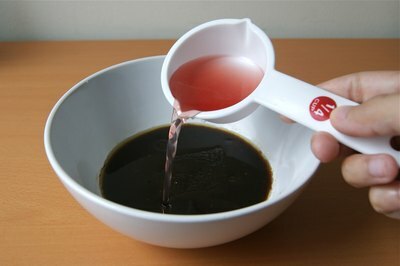 Transfer the pomegranate balsamic vinegar to a jar or bowl with a lid. Label with the contents. Store in the refrigerator for up to ten days before discarding. To use the pomegranate balsamic vinegar, drizzle it over salad greens or use in any recipe that calls for balsamic vinegar. For a variety in flavor, try using half pomegranate juice and half blueberry or cherry juice. These combinations can be purchased pre-mixed, or you can purchase the individual juices and use them. To make a larger batch of pomegranate balsamic vinegar, simply use equal parts balsamic vinegar, olive oil and pomegranate juice and add seasonings to taste. The recipe can also be doubled or tripled without changing the taste.